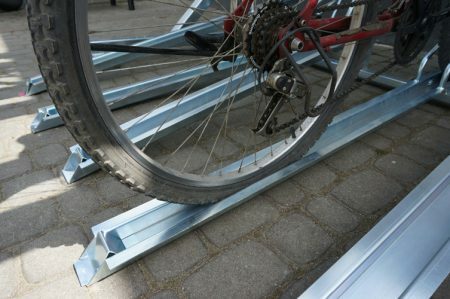 Two level bike stand. Bike storage system. Online store. You can choose from our prime quality and user friendly two tier bike stands. Two tier bike stands systems are excellent solutions allowing you to accommodate twice as many bikes as standard bike stands. They are space efficient and cost effective, which makes them highly popular in areas with limited space. Our two tier bike stands are made from prime quality galvanised steel, which makes them highly durable. 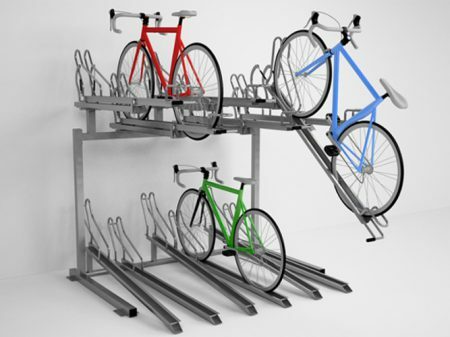 Compact construction and functional roller systems guarantee secure storage of your bikes. The whole construction is well supported and really smooth to operate. Our two tier bike stands are perfect solutions for various spaces such as private driveways or corporate cycle parking areas.